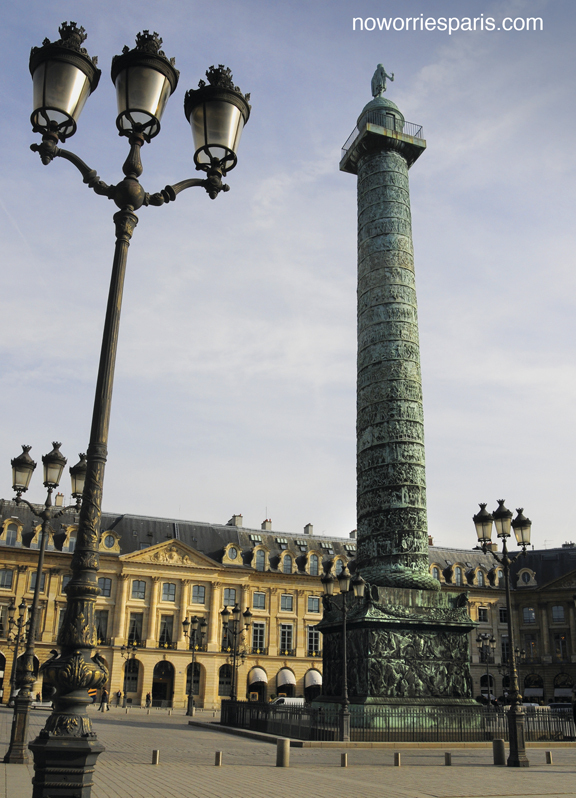 The aroma of perfumed money wafts the 300-yard expanse of cobblestones at Place Vendome, among the most chi-chi and mighty of Parisian addresses since it was laid out in 1702. But this square of uniformly arcaded facades has not lacked turmoil. An equestrian statue of Louis XIV was torn down after the monarchy fell. A statue of the emperor atop Colonne Napoleon was toppled in 1871, when Napoleon III was living out the last 20 years of his life in seclusion on the upper level of #26. The current 144-foot-high bronze column, which rises in a spiral of friezes, was modeled after Rome’s Trajan and was made from 1,200 enemy cannons that were captured at the Battle of Austerlitz. The most illustrious landmark on Place Vendome is the hotel at #15, opened in 1898 by Cesar Ritz. Poet Andre Farque observed some 20 years later, “And what do rich girls dream about? And what is Paris? The Ritz.” Coco Chanel lived here at the time of her death, F. Scott and Zelda raved of the private baths, and Hemingway held down a stool so often he got the bar named after himself. Fred Astaire preferred Hotel Vendome during visits in the late 1930s. J. P. Morgan roughed it at Hotel Bristol during his stays, around 1910. Composer Chopin’s death bed in 1849 was at his residence at #12. Residing currently on the place are Dior, Chanel, DeBeers, Cartier and other purveyors of keepsake bling.